Tony Blackman has spent his life in the aircraft industry as a test pilot, as an avionics specialist and then on the Board of UK Civil Aviation Authority as the Technical Member. 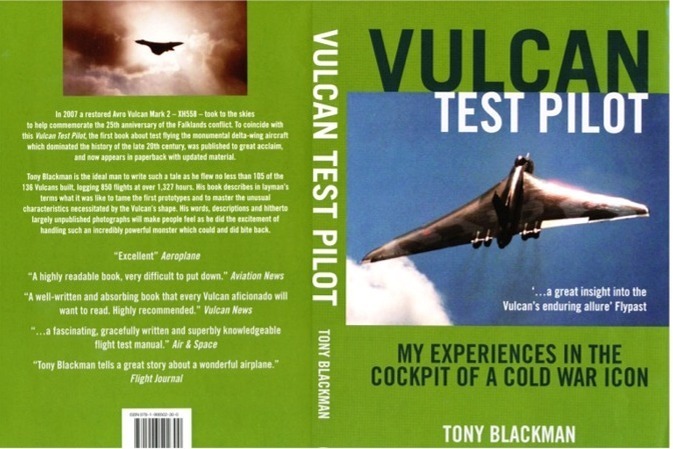 He now writes authoritative books on flight testing the Vulcan, The Nimrod and the Victor. These books will appeal to all who fly, not just to aviation enthusiasts. All the non-fiction books can be purchased from Grub Street and The Aviation Bookshop for overseas and UK delivery as well as all the normal suppliers like Amazon UK , Amazon USA, Barnes & Noble, Waterstones or any book shop, see ISBN numbers below. NOTE:- Please use ISBN Numbers when ordering the books from book shops. 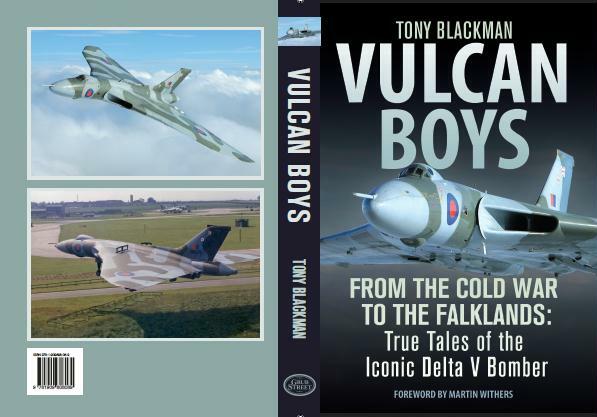 This book tells the story of the Vulcan from the beginning in Flight Test Development through the Cold War to the Falklands told by operators of the aircraft, The material is all new including the Falklands telling the later Black Buck Sorties by the aircrew who did them. 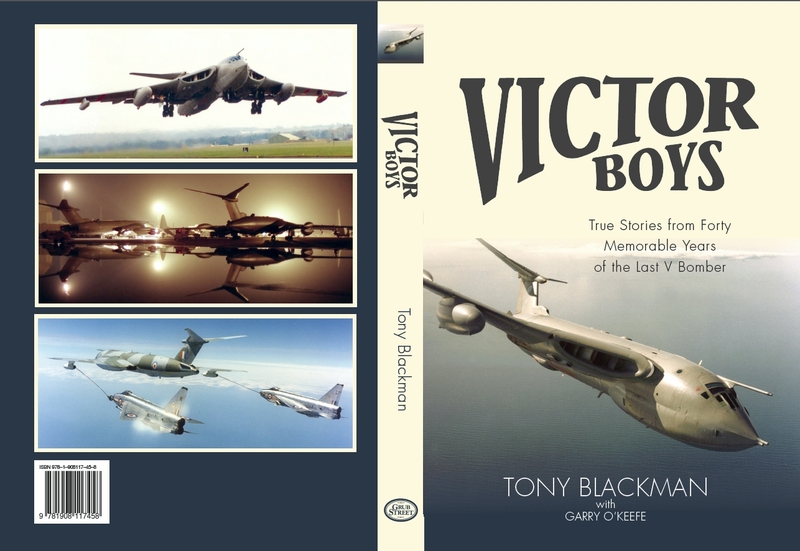 This book tells the story of the Victor in the words of the operators from Johnny Allam who tested the aircraft to the last operators supporting our fighters in the Middle East. Probably the best of the V Bombers and certainly the one with the longest life being in service for eleven years after the Vulcan. Hopefully this book will make people realise what a wonderful aircraft it was. 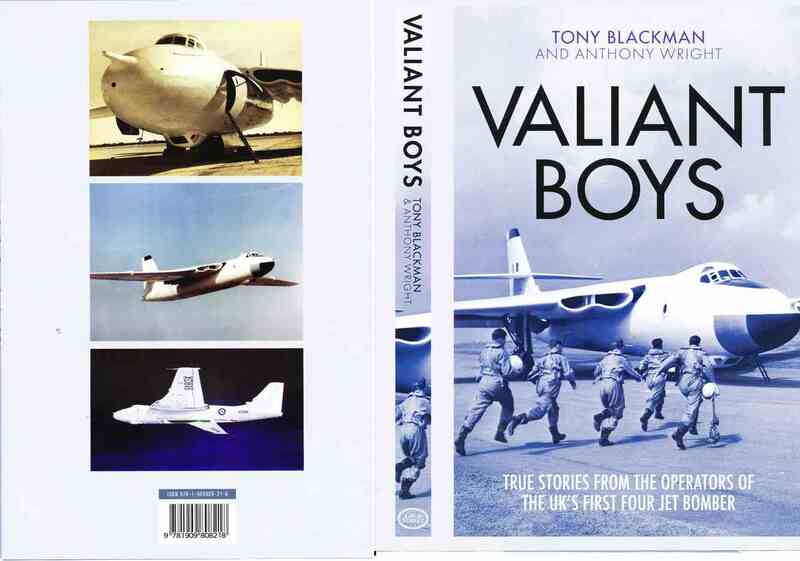 Valiant Boys is a collection of personal accounts by Valiant operators, aircrew and ground crew, describing operations throughout the twelve year life of the aircraft. The book starts at the home of its manufacturers, Vickers, at Weybridge and Brooklands and covers the Suez Campaign, Atom Bomb development, the first nuclear deterrent and finally flight refuelling. The final chapter of the book discusses the fatigue issues of the aircraft and there is an appendix discussing the down side of the atom bomb development. This book is collection of accounts by crew members which came after we had finished producing the individual V Boys books. The book includes how the V Force was navigated and also an account of Friendly Fire when the Royal Navy launched two Sea Darts at two Victors returning to Ascension Island during the Falklands Campaign. This book is about the first jet maritime search aircraft tracking submarines enemy warships, rescuing ships in distress and supporting the army and Royal Navy carrying out their operations. First hand accounts are accounts of all operations including Falklands Campaign and in the Middle East. 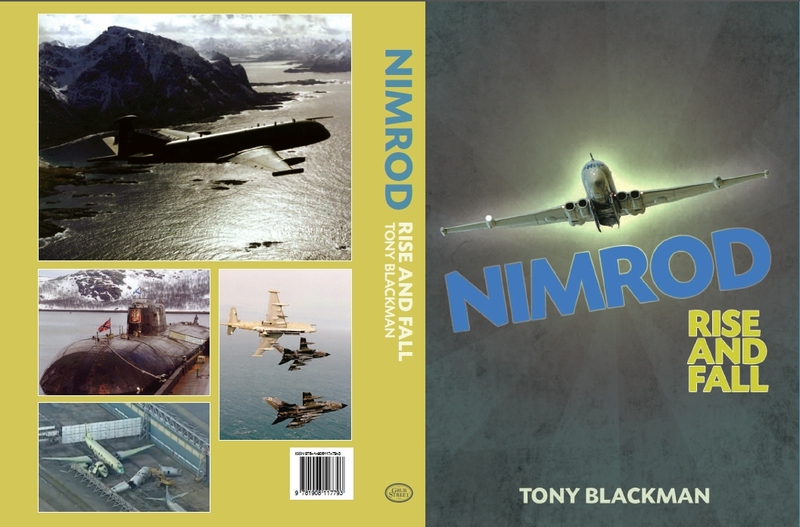 This book is about the Hawker Siddeley Nimrod from its beginning to its end. 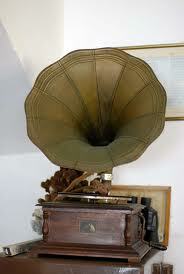 Because a large part of its work was doing classified work the superb tasks it carried out are not generally know. This book describes the aircraft's many operations and concludes discussing the very few accidents it had, the unfortunate development of the Airborne Early Warning development and finally describes the cancellation of what would arguably have been the World's best reconnaisance aircraft. This book is about the Avro Vulcan and what we had to do to make it an effective weapon and a wonderful aircraft to fly and demonstrate. The book is unique as it tells all about the problems that we had to solve and the development flight testing. 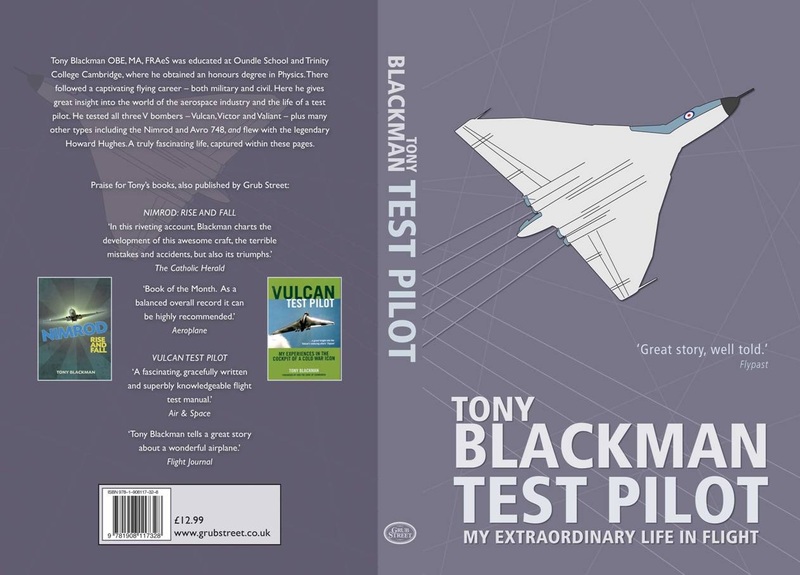 Tony has recorded some of his own experiences in his book 'Tony Blackman Test Pilot' where he explains that safety costs money and that an aircraft need only just meet the relevant design requirements. 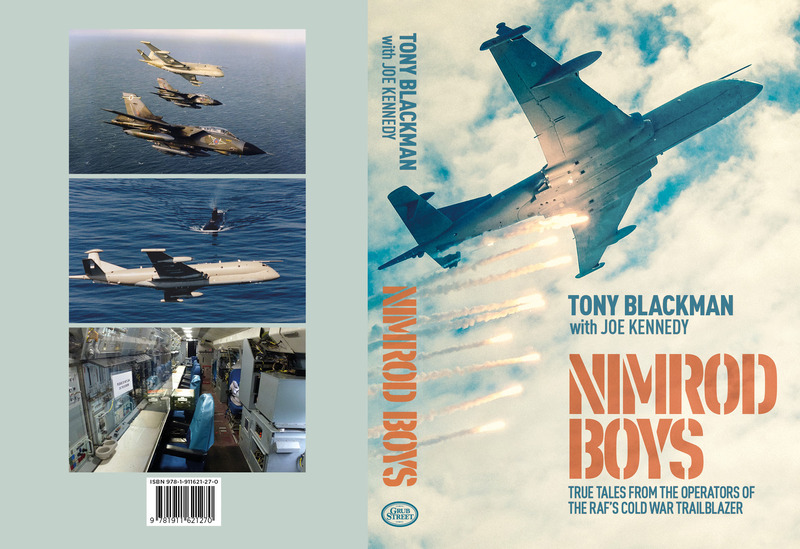 Tony Blackman tells about testing the V Bombers, selling the Avro 748 around the world and there is a chapter on flying with the legendary Howard Hughes in England. (This is a revision of his first book Flight Testing to Win with new material, photos, index and amendments. 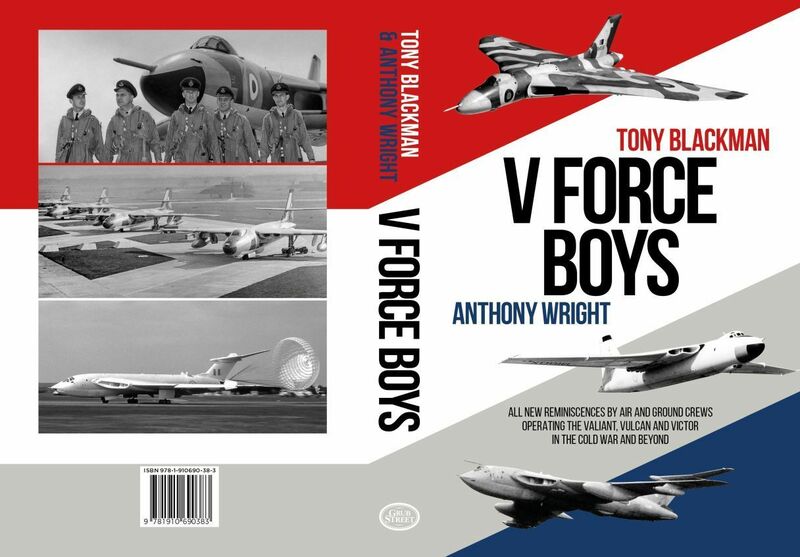 Tony has co-authored this book with Dr Alfred Price, author and ex-Vulcan AEO and Andrew Edmondsen who is in charge of the maintenance of Vulcan 558.